You might have noticed we like SHMUPs here at oprainfall. I certainly do, and love covering interesting new titles. So today I’m happy to announce the launch of RiftStar Raiders for PS4, XBox One and Steam! Though it’s slated to sell for $19.99, you can get a 10% discount by getting it early on Steam. 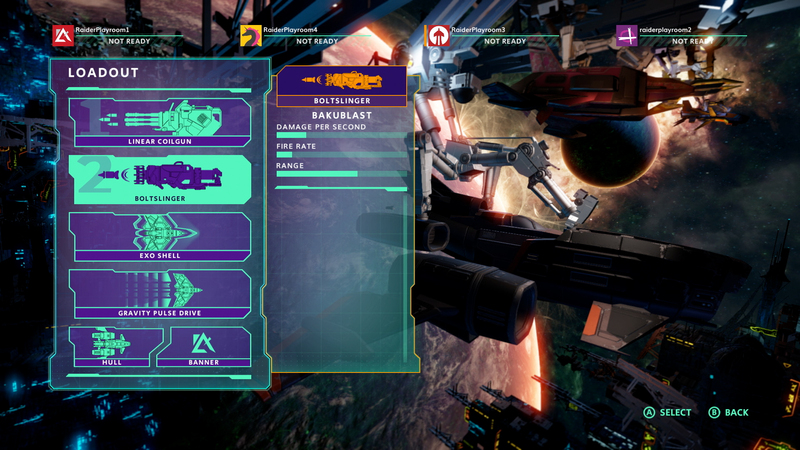 The gameplay in RiftStar Raiders features lots of customization and loadout options, as well as the opportunity to play with up to 3 friends. To find out more, just read the full press release below, and check out the stylish trailer! 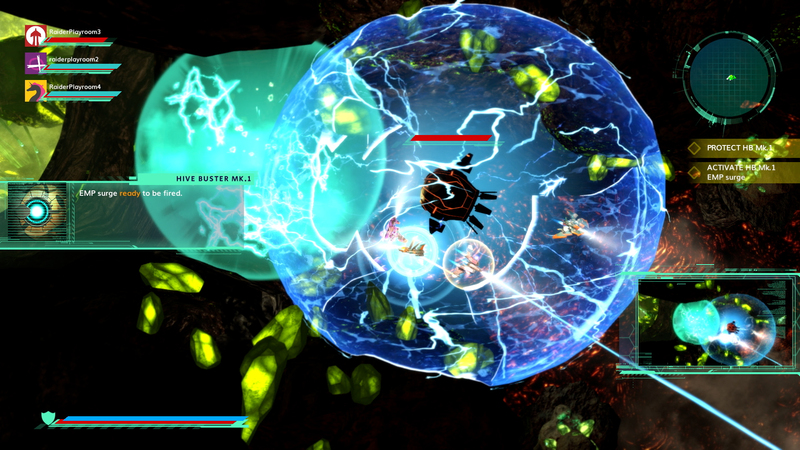 And be sure to stay tuned for oprainfall’s upcoming review of RiftStar Raiders. Portsmouth, UK – February 28, 2018 – RiftStar Raiders, the four-player online co-operative space shoot‘em up, launches today for PlayStation 4, Xbox One and PC (Steam). RiftStar Raiders will retail for $19.99 / €19.99 / £15.99, and Steam customers can take advantage of a 10% launch discount. Inspired by retro and arcade classics, RiftStar Raiders is a modern take on top-down space shoot’em ups, providing a visual and tactile feast of rich, striking environments and intense, fast-paced combat. 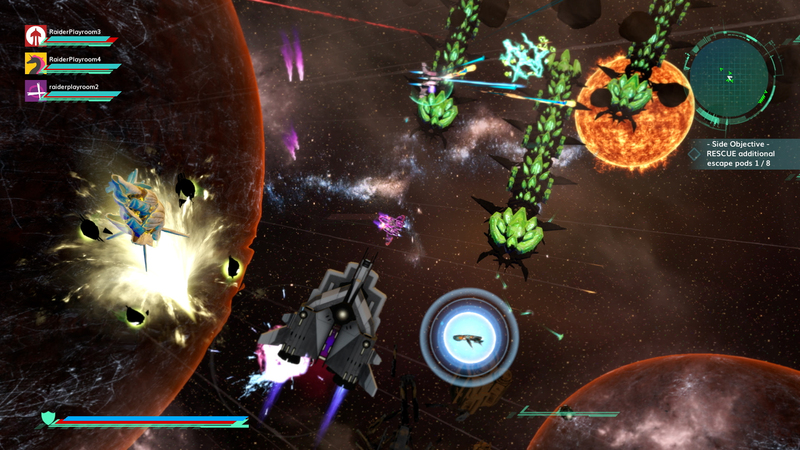 In RiftStar Raiders, set in the outer reaches of deep space, the Spiral Arm galaxy is under threat. The WarSwarm, a deadly AI hive mind, is seeking to destroy and conquer the known universe, and it’s up to the players to save the day. As the Federation’s most infamous outlaws, Raiders are enlisted to team up, using their guile, guts, and guns to protect the galaxy… and turn a tidy profit in the process. Shooting, looting and spacecraft customization take center stage in RiftStar Raiders with teams of up to 4 players battling their way through nine challenging story-based missions. In this modern take on a top-down space shoot’em up, pilots maximize their profit by looting cash and rewards from enemies, using them to craft and upgrade their ship’s systems, weapons, shields, and boost engines. Be it against rival pirate gangs or the alien WarSwarm, players must adapt their play style to each mission, with a wide variety of loadout combinations available: from a tank that takes the hits, to team support or a damage dealer that goes first into the fight. A free trial version of RiftStar Raiders is also available on PlayStation 4 and Xbox One, giving a sneak peak of the first two story missions which can be completed in single player or in cooperative online multiplayer. It’s all about the loot – Shooting and looting is core to craft and equip weapons, shields, and boost engines to hit harder, move faster and play smarter! Intense empowering combat – Players can utilize a huge range of gear and weapons to get the upper hand on their opponents in this fast-paced combat experience. Fight through waves of enemy unit types, each with their own unique challenge. Progression every session – The Raider spacecraft will evolve and improve with every mission. By collecting perks and loot pilots can customize their ship to face each new challenge. With a wide variety of possible combinations, no two runs will play out the same.